Stan Brakhage was born in 1933 in Kansas City, Missouri. He is considered to be one of the most important figures in 20th century experimental film. His most famous film was “Dog Star Mar” (1964) which was one of the key works of the 1960s American avant-garde. 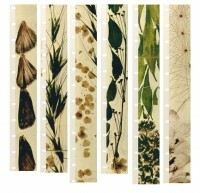 Over five decards, Brakhage made nearly 380 films, most of them shot in 8mm or 16mm, and ranging in length from nine seconds to four hours. Almost all had no sound, which he felt might spoil the visual intensity. He taught film history at the University of Colorado from 1981 until he passed away in 2003.